January 12, 2019 — Comments are off for this post. 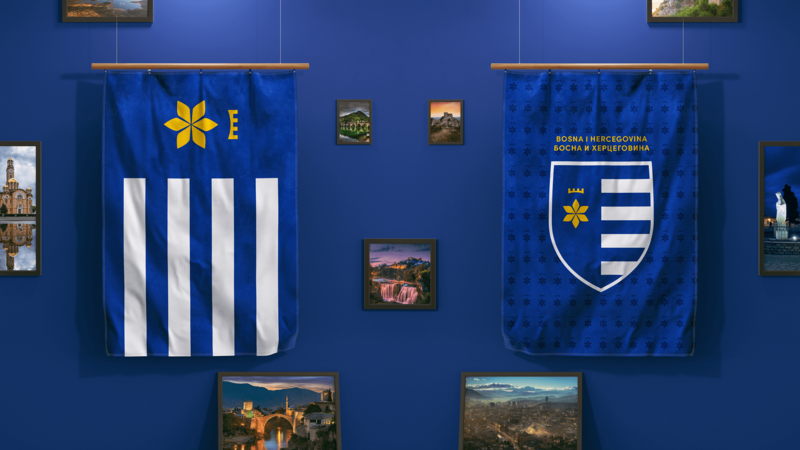 Design a flag for Bosnia & Herzegovina that accurately encompasses the country, its heritage and peoples. For more info on principles visit Nava. Use 2 or 3 Basic Colours. Limit the number of colours on the flag to three which contrast well and come from the standard colour set. 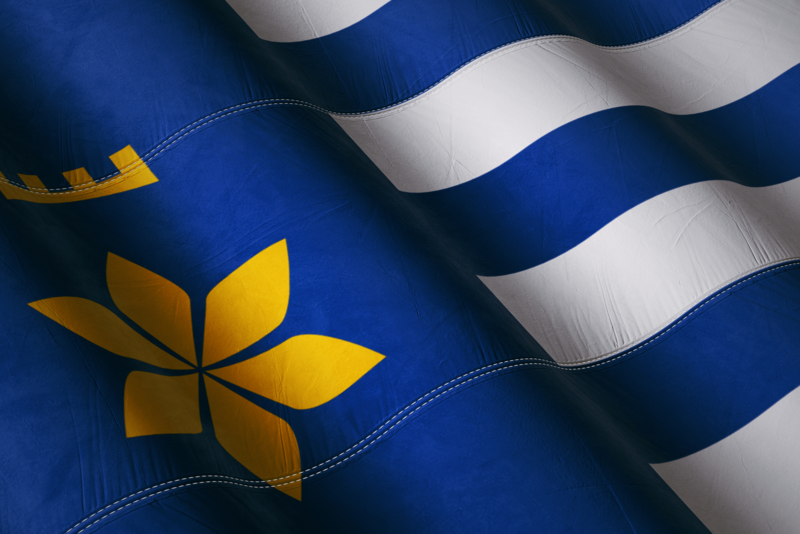 The current flag meets 3 out of the 5 principles. It keeps its simple, while using basic colours. It uses no lettering. However, it fails to convey meaningful symbols and it is not distinctive. 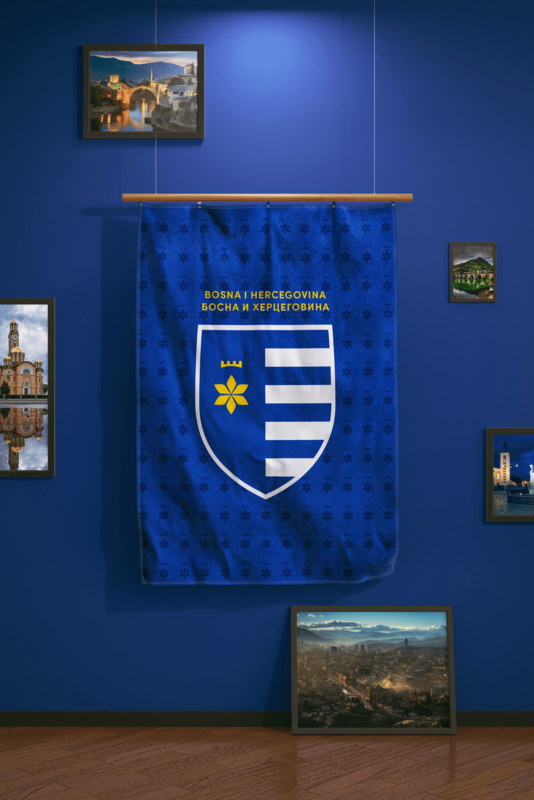 The flag's images and patterns don't symbolize Bosnia & Herzegovina, its heritage or peoples. It is a very geometric and neutral representation. It has a stronger reflection of Europe rather than its own features. "Stars and a triangle do not resonate in any shape or form with a country that traces its roots all the way back to the 10th century." This is not a harsh criticism towards Westendorp. He did the best he could to reach consensus, however we all know what happens when you design by committee. 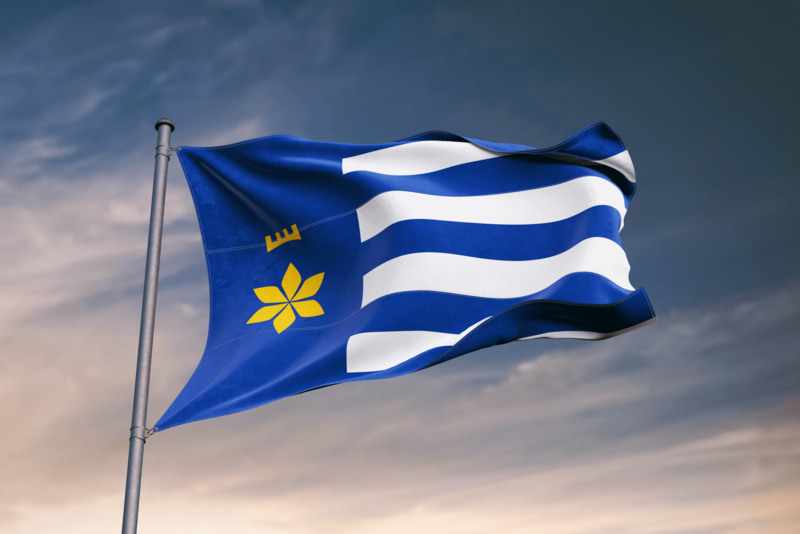 For some insight and background on this process you may see the Westendorps commission details in 1998 and check out the flag proposals made in 1997. I had to do my homework on symbolism. It was extremely challenging. The issue was that most symbolism was contested by one ethnic group or another. I could not use any of the traditional symbolism that existed before. I had to start with a clean slate, yet a familiar one. Eventually I set a goal of finding symbolism that hadn't been spoiled. My goal was to focus on the water, mountains, flora, fauna and monuments. Bosnia and Herzegovina has 45 medieval castles within its borders. Most castles where built throughout the Kotromanic reign and served as a defense from invaders. They were fortified towns which provided relatively strong protection to its masters and defenders. The castle that always stood out was Vranduk appropriately called the Gate of Bosnia, because for centuries it resisted and prevailed against many adversaries. 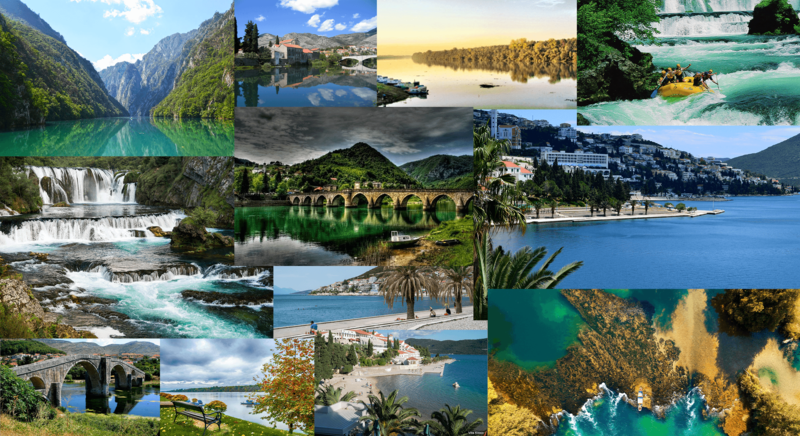 Bosnia & Hercegovina has over 50 rivers and drinking water in abundance. The three rivers and the sea create its natural borders. The river Una in the west, Drina in the east, Sava at the north and the Sea in the south. For more detail see the list of rivers in Bosnia & Herzegovina. Stećak (plural: Stećci) is the name for monumental medieval tombstones that lie scattered across Bosnia and Herzegovina. An estimated 60,000 exist scattered across the country. Stećci were inscribed as a UNESCO World Heritage Site in 2016. It includes a selection of 4,000 stećci at 22 necropolises in Bosnia & Herzegovina. The highlight of my discovery was when I realized that all stećci use decorative motifs of flowers. The lilium bosniacum appears in many incarnations, versions and patterns. Lilium bosniacum is a lily native to Bosnia and Herzegovina. In this context it is used in top view and a definition of an entirely new way to represent this symbol. I had finally found a symbol that could be designed without stigma. Six petals facing this sun, felt like the right symbol for a more positive future. The basis for the design exploration was selected from half a dozen elements found on Stećci. The Lilium bosniacum is found both in nature and on the monuments. Multiple representations of castles and water were added. From here a 100 designs were generated by exploring arrangement, layout, colour and symbolism. Below you see can see the foundational elements for the designs. A second round of exploration and refinement yielded 45 designs. 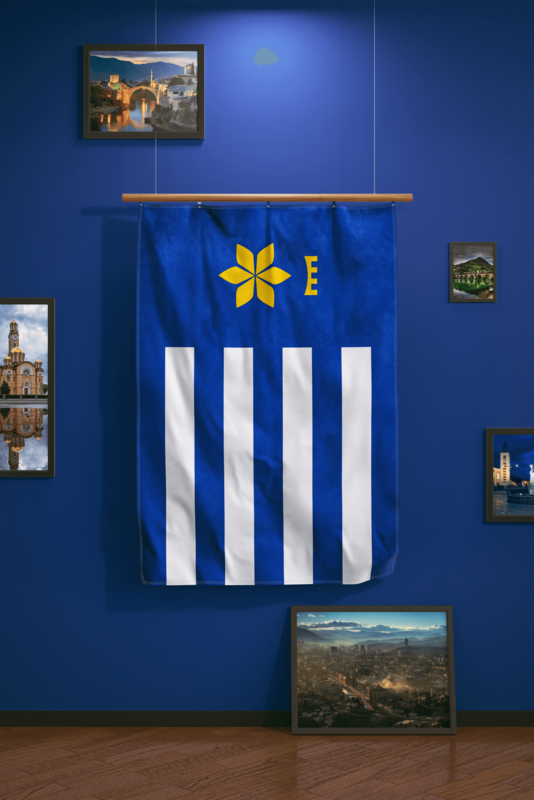 Throughout this design experiment, I realized that designing flags is extremely challenging, but not so dissimilar to any other design process. My final selection process was made easy by the 5 principles of flag design. "We as designers still have to take a big idea, simplify and communicate it in the best way possible." The final flag was simple and a child could draw it from memory. It contained meaningful symbols and used 3 colours. It did not use lettering or seals. It is distinctive in nature. 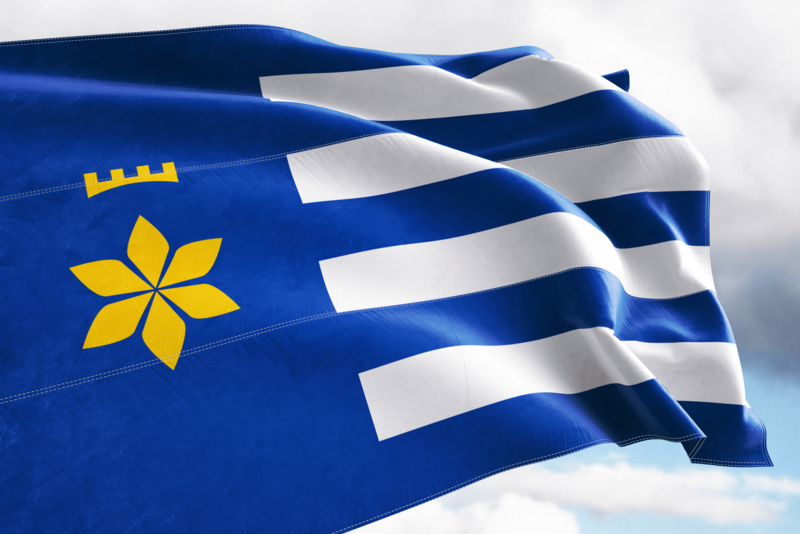 The flag sits on a blue backdrop representing neutrality and peace. Four white stripes represent the natural borders of Bosnia & Herzegovina – the Una, Drina, Sava rivers & the Adriatic Sea. The golden castle is the embodiment of the Gate of Bosnia and protection for the precious Lilium Bosniacum. Six petals facing this sun looking towards a bright future. The coat of arms of Bosnia and Herzegovina. 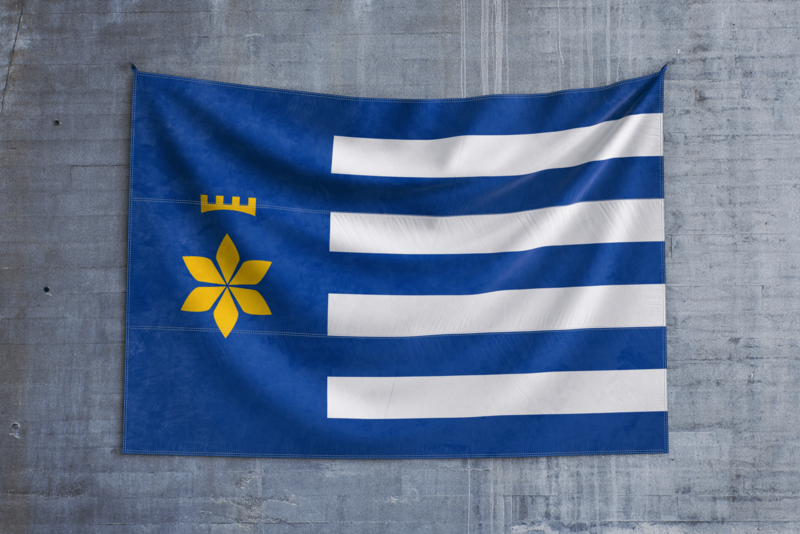 It follows the design of the national flag. 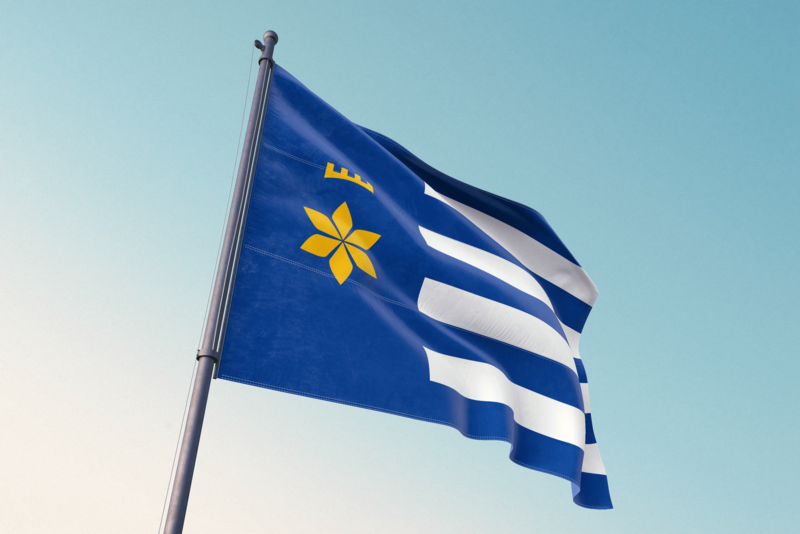 Here are some 3D Renders of what the flag would look like in everyday use — facing the elements or hanging inside buildings. Click on the images to see high resolution versions. If you find that this accurately represents the country of Bosnia & Hercegovina please do share it with the rest of your community or network. If you'd like write about this experiment, my contact information is below.